Previously there was a way to use WhatsApp on your PC by installing BlueStacks app player and then installing WhatsApp app in BlueStacks and use the app as you use in your smartphone. BlueStacks software is available for free on web and you can always download it and install it in your Windows and you need to have internet connection while installing BlueStacks software. Recently a month ago there came some rumors that facebook owned WhatsApp is available for our computers/PC as well. The rumors come true today. You can have WhatsApp Web version App available in your computer officially. 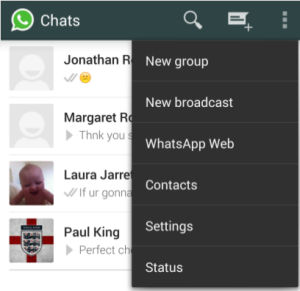 WhatsApp web version is now available in your Google Chrome web browser. 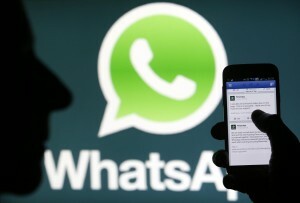 Now you can use your WhatsApp simultaneously on your smartphone and computer/Laptop. But please note that this WhatsApp on the web is available only for Android, Blackberry, Nokia and Windows smart phones. It is not available for Apple iPhones due to platform limitations. 1) First make sure that your computer/Laptop is connected to the internet and the version of Google Chrome you are using is above 36+, WhatsApp web will only work on Google Chrome versions which are above 36. Then open your Google Chrome 36+ web browser on your computer and type https://web.whatsapp.com in your navigation bar of your browser and press Enter button to head into the WhatsApp web. 2)After you entered into the site a QR code will appear as pop up window on your screen or directly you can see a QR code on the screen of your computer/PC. 3)Open WhatsApp on your smart phone and click the vertical dots appearing on the right corner of your smart phone, this will shows a menu with some options, choose WhatsApp on web option. 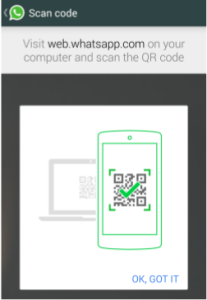 4)Then a QR reader will open on your android phone, scan the QR code appearing on your Computer/PC screen with your android phone, this will automatically log in your WhatsApp on web. 5)Make sure that your phone is connected to the internet while you are using WhatsApp web version. 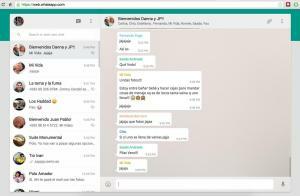 6)The functionality is same even on the web version of WhatsApp. The messages will instantly got synced with your android phone. You may turn on or turn off desktop notifications and sounds by tapping the vertical three dots on the top right corner of your phone and select Notifications option and turn on or turn off Desktop notifications. 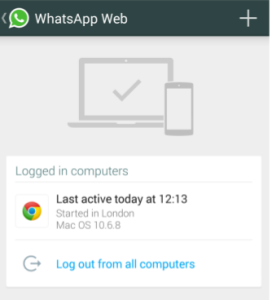 7)you can manage the computer/PC in which you logged in from your android phone to log out from the computer. 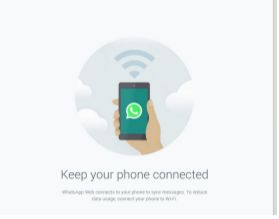 You can do this under WhatsApp on the Web option and tap Log Out from all computers/PCs to disconnect your smartphone and computer/PC. 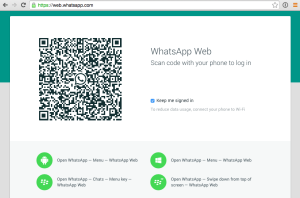 8)You need to again scan the QR code each time you log in to WhatsApp web version. If you want to know more about using WhatsApp web version in your PC, you can read our latest revised article on How to use WhatsApp Web Version and Download WhatsApp for Windows. In that article we explained all possible ways of installing WhatsApp on PC using BlueStacks software and You Wave software. If you once install WhatsApp on your PC. you can use it as you are using on your smartphone. Hello james,we are very happy for your zeal to be a techie. Reply us with your OS version of your device to help you out.